This is a picture I took the other night. 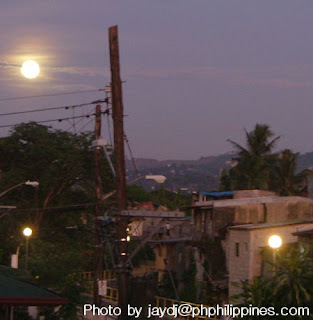 Are there really 3 moons ? Not really. The smaller two circles are streetlights.